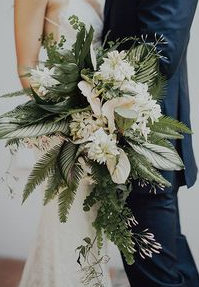 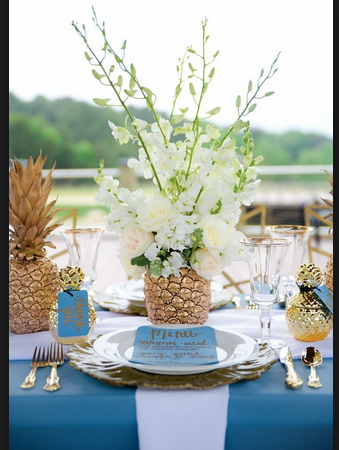 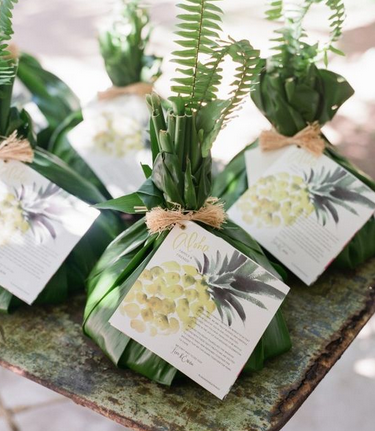 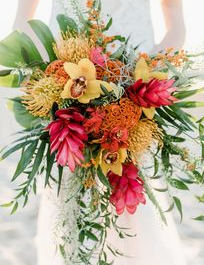 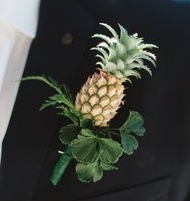 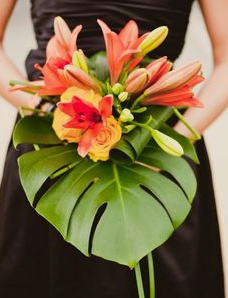 TROPICAL THEME WEDDINGS: If you wish to have a Tropical Theme Wedding, we are lucky here in Southern CAL with the beautiful weather and the opportunity to hold your wedding on a beach. 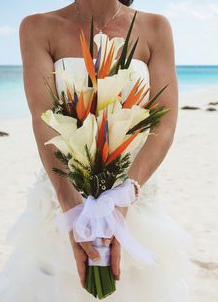 If you are thinking of a beach, make sure you check on permits and requirements with the City. 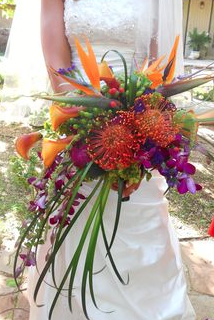 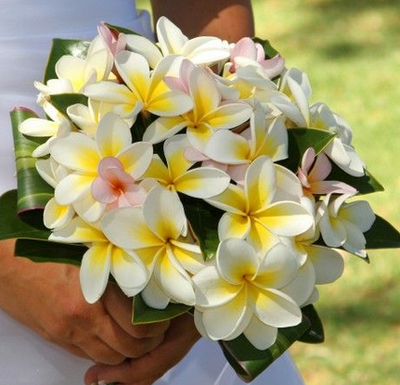 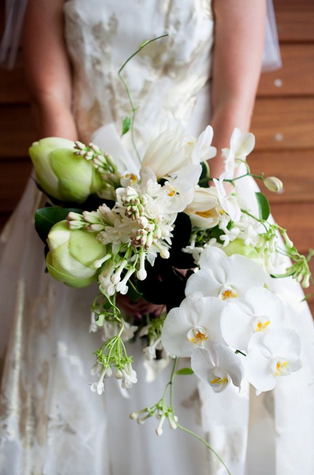 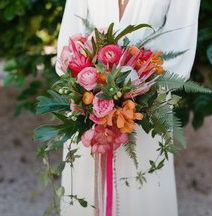 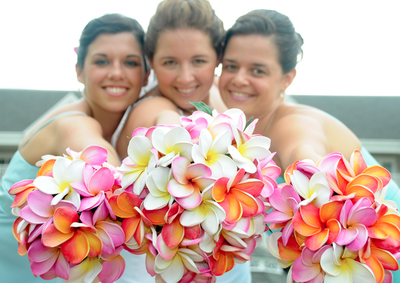 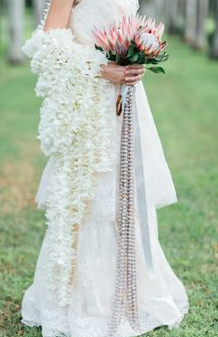 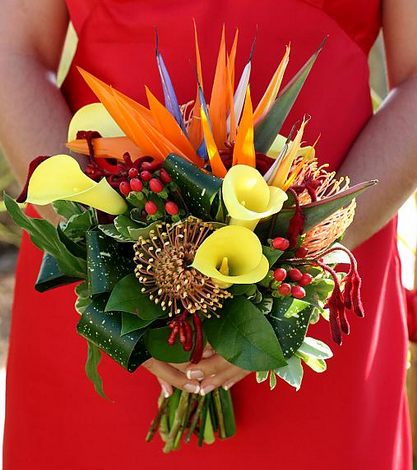 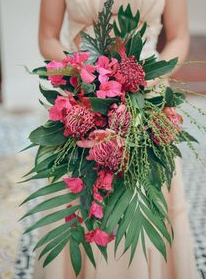 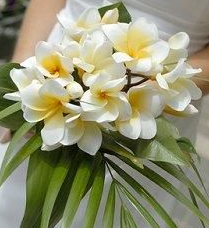 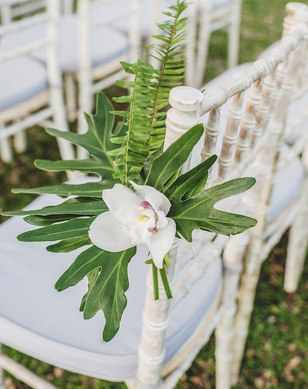 Pictured here are some ideas of Tropical Weddings. 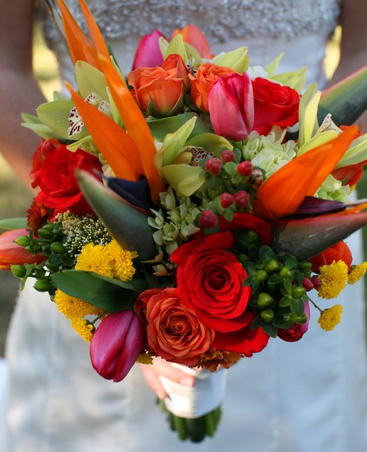 They can be informal to formal it all depends on your style. 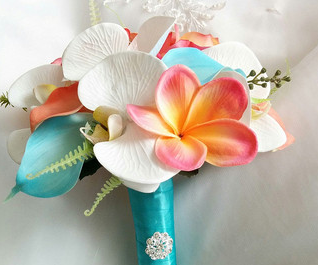 And if you wish to delve deeper into a theme it can go to a Tropical Paradise such a Hawaii, the Bahamas, Tahiti, etc. 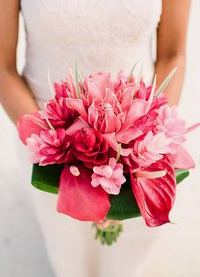 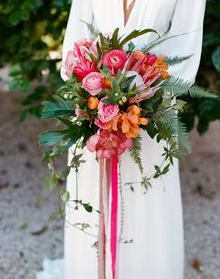 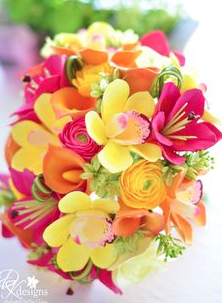 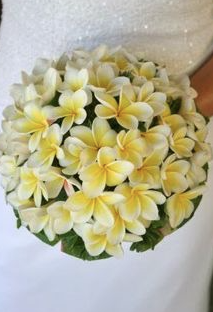 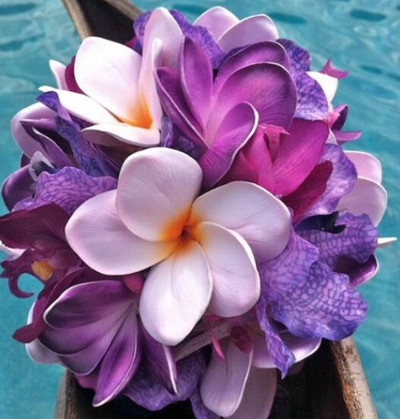 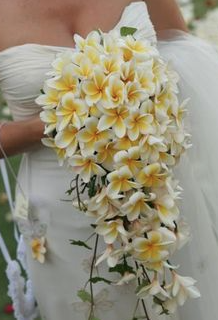 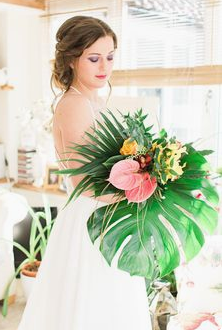 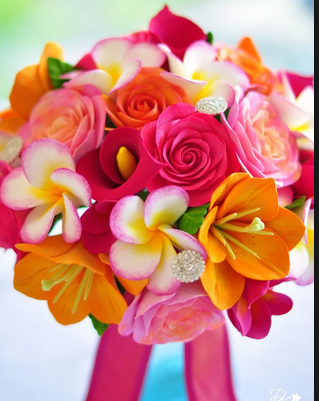 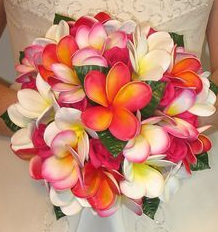 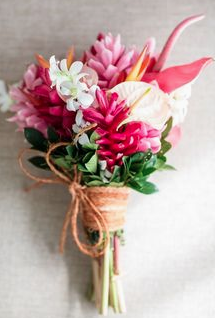 BELOW we start with BOUQUETS - DECOR - DRESS & CAKES and hope this page gives you some ideas on ideas for a Tropical Wedding Theme.